Cruises are a great option for those looking for the full Galapagos experience and do not have mobility limitations. We offer impressive itineraries visiting the major sites and also some remote islets. Expert Naturalist Guides will offer environmentally friendly and educated excursions focused in the natural history of the Galapagos. Pick the vessel that best suits your interest, likes, wants and budget; from Standard Class, First Class, or Deluxe; small and intimate, mid-sized with a bit more room, or a larger vessel with plenty of social areas. Whatever your choice may be, we are here to help you plan the perfect Galapagos Expedition. Cruises are a great option for those looking for the full Galapagos experience and don’t have mobility limitations. All of our Galapagos Holiday Adventures vacation packages by Cruise offer very impressive itineraries, visiting not only major sites but also remote islets in the archipelago. Since most of the navigation takes place during lunch time and at night, you will be able to spend more time visiting the islands and doing activities during the day. When on board of any of our cruises, a naturalist guide will lead all of your Galapagos tours and an experienced crew will take care of your needs onboard including the provision of great international cuisine for breakfast, lunch, and dinner, as well as providing a place to relax and enjoy the sunset with a cocktail. On board of our cruises you will also have the opportunity to continue learning about conservation and cultural history when participating in the evening presentations. If you are prone to seasickness, you may want to consider one of our larger vessels as they tend to be the most stable. For more specific information regarding the life aboard the vessels, the different types of landings, as well as general information and recommendations, please visit: Life Aboard a Galapagos Cruise. Our hotel-based Galapagos Holiday Adventures vacation packages offer our guests the opportunity to choose their accommodations from a range of Standard, First Class and Deluxe Hotels. Staying on one of the Islands provides the opportunity to spend time in the ports, browse the shops and eat out at one of the many restaurants as well as get to know the local communities. Our hotel-based Galapagos tours also offer a wide range of activities to suit all interests, thus allowing visitors the flexibility to build their own schedule. However, as only four of the major islands have hotels, programs and visiting options may be limited, as day visits to some islands may be impractical due to navigation time to and from the nearest hosting island. Whatever you decide, our Galapagos Holiday Adventures offer you a great selection of vessels and itineraries as well as hand-picked island-based hotels for you to customize your Galapagos Holiday Adventure. After almost three decades of planning and executing vacation programs to Ecuador and the Galapagos Islands, we all at Galapagos Holiday Adventures certainly are specialists in this exciting destination and know first-hand what works best to provide our guests with exceptional, enriching, and inspirational travel experiences. That is precisely why we take the time pre-designing interesting, fun, and attraction-filled vacation packages; the best part, with no hidden fees! Take advantage of our knowledge, resources, and personalized service and let us assist you planning and executing your next Peru Holiday Adventures. 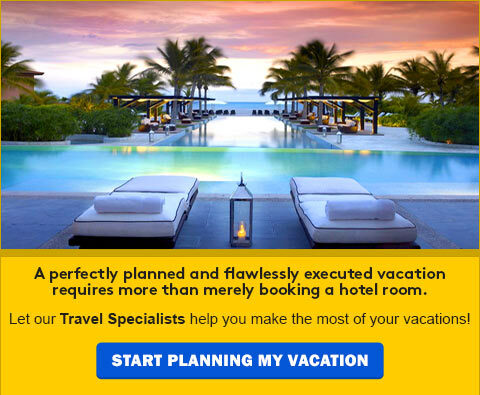 Give us a call toll free: 888.601.8411, send us an Email, or fill the blanks in our Ecuador & Galapagos Vacation Planner.